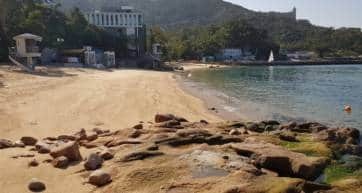 A day out at Hong Kong’s marine-themed Ocean Park is fun for the whole family—and serious fun even if you don’t have kids. Ocean Park, located in the Southern District of Hong Kong Island, was once only accessible by a long bus ride. But with the opening of the MTR’s new South Island Line, you can get from Admiralty Station to Ocean Park Station in just ten minutes. Ocean Park is massive, and divided into two distinct zones—the Waterfront, which is the area immediately as you enter the park, and the Summit, which is on top of a mountain. 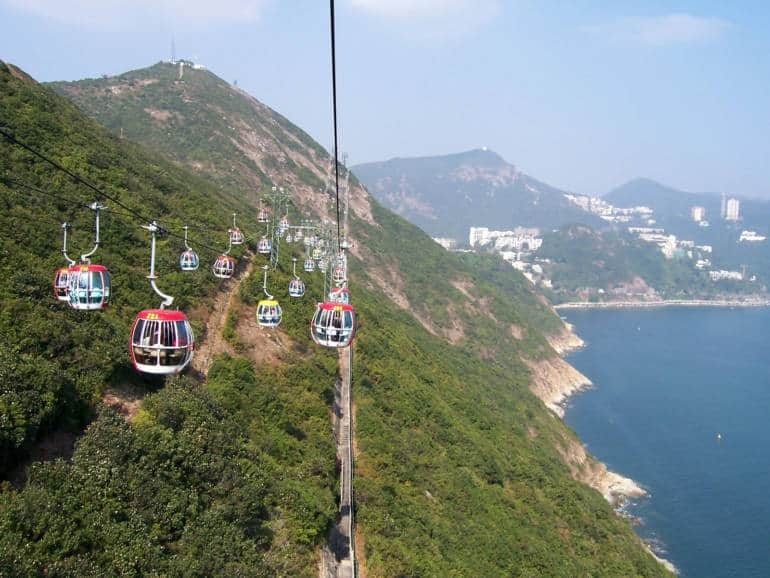 To get from one area to the next, a cable car whisks you over the ocean and up into the hills, with incredible views of the South China Sea below. An alternative way to get between the two areas is to ride the Ocean Express, a funicular railway shaped like a submarine, which simulates an undersea journey during the ride. The Ocean Express takes you from the Waterfront to Thrill Mountain, where you can test your bravery. From Thrill Mountain, you can walk or ride on the Escalator up to the attractions at the Summit. But, let’s start from the beginning. 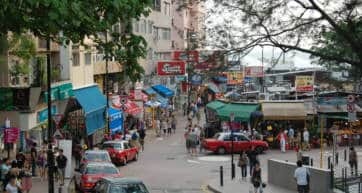 As you enter Ocean Park at the Waterfront area, some of the top attractions are the Grand Aquarium, the bamboo-munching Giant Pandas named Le Le and Qi Qi, and Old Hong Kong, a recreation of Hong Kong back in the 50’s to the 70’s. Next to this is Whisker’s Harbour, which has a number of rides and games, like a Merry-Go-Round and Bouncy Castle, suitable for smaller kids who may be terrified of the rides up at the Summit. Up at the Summit you’ll find lots and lots of awesome roller coasters, a swinging Crazy Galleon, and other rides guaranteed to make you scream. But don’t ride the Raging River if you don’t want to get wet! There are lots of animals to see in the Ocean Theatre, Marine World, North Pole Encounter, and Rainforest Zone, such as Australian koalas, deep sea sharks, thousands of jellyfish, long-tusked walruses, and more. Ocean Park now has a brand new Ocean Park Marriott Hotel, which makes it easy to spend the entire day in the park and then relax by the pool in the evening. There are a number of restaurants throughout Ocean Park, and the Panda Kingdom Shop for your souvenir needs. The theme park has free Wifi, and because of the size of the park it’s useful to download the free Ocean Park app, which has both a park map and real-time wait times for the popular rides, to help you plan ahead. 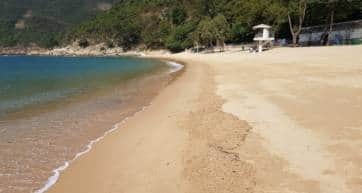 After visiting Ocean Park, there are a few attractions nearby, and since you’re already on Hong Kong’s ‘south side’ why not check out the massive Jumbo Floating Restaurant, Stanley Market, or hit the beaches at Repulse Bay? Read our guide to the Southern District to get some ideas for making the most of your day.